Releasing & Reducing Stress in all aspects of your life. Nicky based in Godalming, Surrey. - Mind-Body Wellness, Hypnotherapy and NLP ..............Fix the Cause, not just the Symptoms! How can Hypnotherapy and NLP help you become Stress Free and more Relaxed? Do you find you think about work when you are trying to sleep but then dream of sleeping when needing to work? Nicky Anstey is a Master NLP Life Coach and Hypnotherapist - that successfully helps clients time and time again. Do you want to release all your negative emotions and beliefs that are holding you back? Do you want to succeed, which will dramatically reduce your stress levels? Do you want to feel relaxed, calm and the best you have felt for ages? Do you want to understand how to deal with stress? You can change - but you must be ready to make changes. If you want to start this life-changing process then e-mail me NOW. Fill out the form and gain more Info on how to start your journey to a calmer you! Does this scenario feel familiar? If so would you class yourself as stressed? 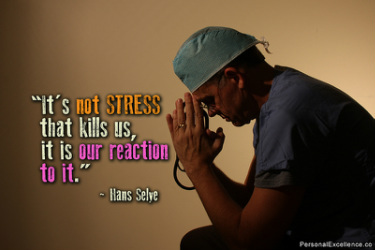 So how do you react to stress? Need help to change this response? If you believe you are stressed and then this continues to happen over and over then I would suggest it's something you need to address before it effects your body physically in a major way, as well as causing long term mental issues. There are several things we need to do to help you become free of stress and more relaxed, using NLP, Hypnotherapy, Time Line Therapy (TM) and nutrition to enhance mood and reduce anxiety. A guide of the plan but this is by no means exclusive to this as I use any tool that is requires to help you move forward and become more relaxed, calm and contented with life in general and work - life balance. 7) Stress busting therapeutic massage combined with reiki and reflexology helps release the physical effects of stress and the reiki helps re-energise the body and mind giving clarity and focus. 8) Support to Take Action!! !